Over the next week I will be spending quite a few days with family and as much as I’d like to indulge in holiday treats and lounge around (not really)..I need a plan! I have a video shoot in 4 weeks so every day counts! Most of the time when we are visiting friends and family we think we don’t have a lot of control over what we eat and there is no time to workout. But, that’s not true…you always have control over what you put in your mouth and how you treat your body. Below are some tips and a few things that I will be doing over the holidays, along with my game plan. Don’t let a time away from home derail your plan to get (or stay) fit. All you need is a good strategy and it can be done! 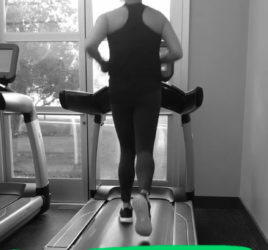 For the runs – do them outside or inside on a treadmill if the weather is bad. No treadmill? Get a day pass to a local gym. For reps – aim for 3 sets of 12-15 unless noted. + 5 minutes of core. Day 3: Long run + Stretch Depending on how far you normally run – do a 3-8 mile run. I have a half marathon in a few weeks, so min will be 9 miles. Don’t overdo it. If you normally run 3-4 miles at a time, your long run should be around 4-5miles. Follow the 10% rule – don’t increase your run by more than 10% (mileage) or 10% faster in one week. Day 4: Hill Run + Upper Body Start with a 30 minute hill run. Run fast for 1-2 minutes followed by easy jog for 2-3 minutes. 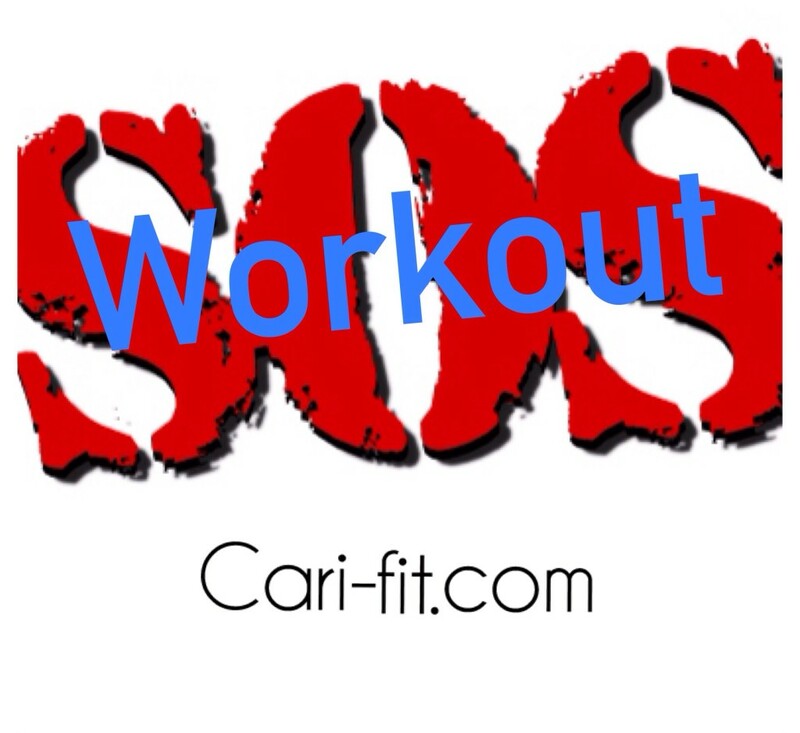 Try this sample hill workout. Day 5: Yoga After 5 days with the family, you probably are in need of some stress relief. But, since this is a weight loss/body fat reduction plan – your yoga shouldn’t be too relaxing so be sure to do some warrior poses and keep moving. New to yoga? Stick to a basic vinyasa flow with some sun salutations mixed in, or you can mix in some cardio (like Day 2). Try some of the warrior poses in my video below or you can try this workout I did for OM Yoga Magazine. Keep it low-fat, low-sugar and high protein. When your family cooks veggies – eat up and request that they be made with little or no oil/butter. Salads are always a good option too. Eat as healthy as you can early in the day so that if your dinner options are limited you won’t be screwed. Watch the sugary drinks and too much booze – calories from drinks add up fast! 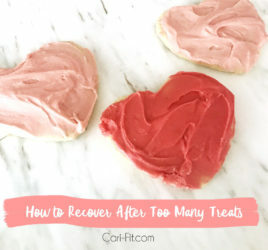 Allow yourself a few bites of a treat each day – especially if this is during the holidays or if you will be surrounded by comfort foods and your favorites. Plus, you don’t want your family constantly asking you “is everything ok?” because you are not eating as much. Get your workouts in first thing in the morning before you have distractions or family obligations. Bring as much food with you as you can. If you family likes to do all the cooking – just tell them you are bringing some snacks for you so that they don’t have to buy/cook as much. Offer to make some healthy side dishes for dinner (shop ahead and bring all the ingredients) or your “famous” eggwhite fritatta one morning. Pack your shaker bottle and servings of protein powder with the scooper in a ziploc. Visit a store that sells pre-made healthy foods that are portioned with the nutrtion info posted. My favorite is Fuel in Houston and I’m brining a week worth of protein muffins for snacks. Write out your plan (ahem – that’s what I’m doing with this blog post!) and stick with it! 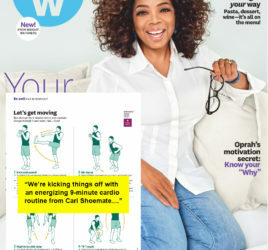 Bring fitness magazines with you read your favorite fitness blogs once a day to keep you on track and motivated!